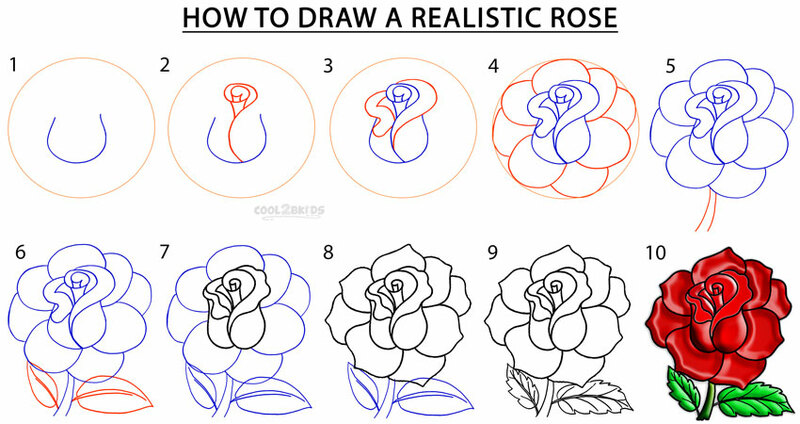 Here's How To Draw A Rose, the easy way. Just follow the step by step visual instructions shown below, or work from the illustrations, also shown here. 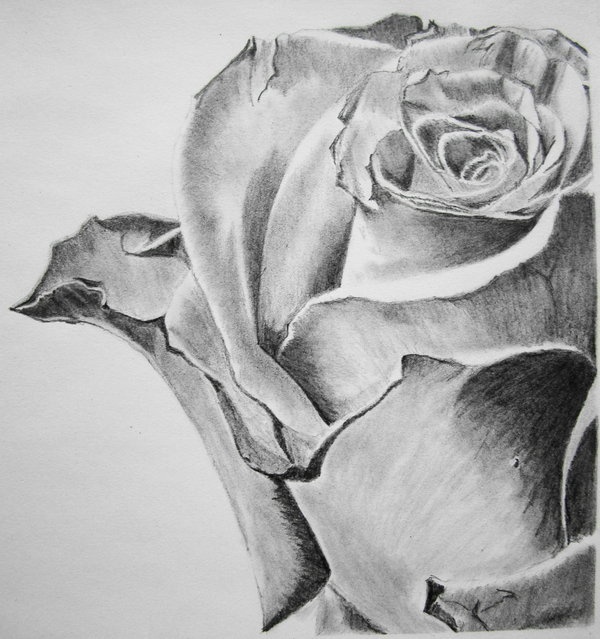 Many famous painters have used roses as their subjects, including Monet, Cezanne, and Renoir. Go here for a visual list of Flowers from Every State. 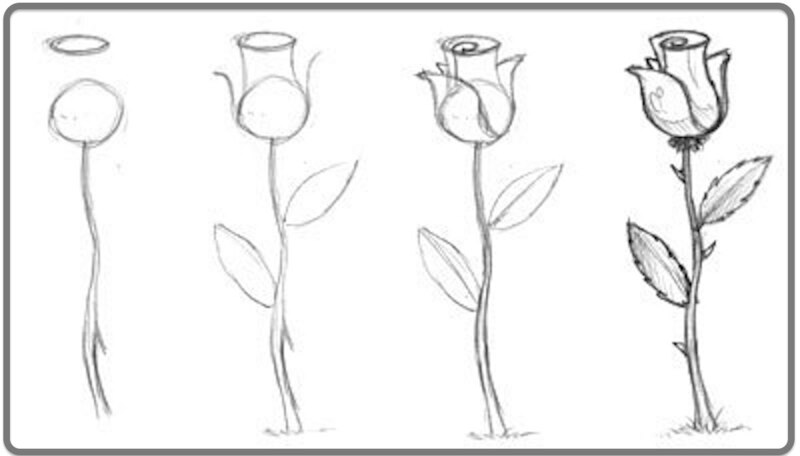 The stylized version of a rose is typically a repetition of the shapes shown above, in varying sizes, dimensions, and orientations. There are currently more than 100 species of roses, along with many thousand hybrid roses. Hybrid roses are also known as cultivars. Rose flowers vary in size, shape, and color, with hues typically running the range from white to yellow to very deep reds. Red is the most popular color for commercial roses bought in flower shops. Roses are the most popular commercially cut flowers. Rose is the name of a particular spectral color, located halfway between red and magenta. 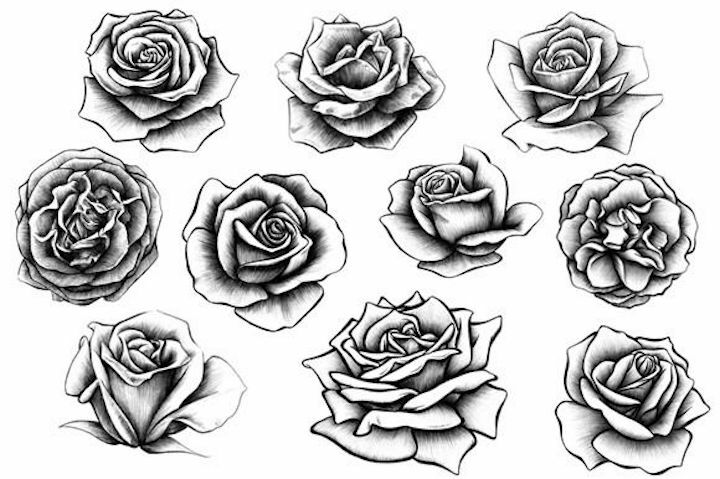 Roses are primarily grown for their fragrance and visual appeal. Rose hips are sometimes used for making tea. Roses are also used for making perfumes and essential oils. 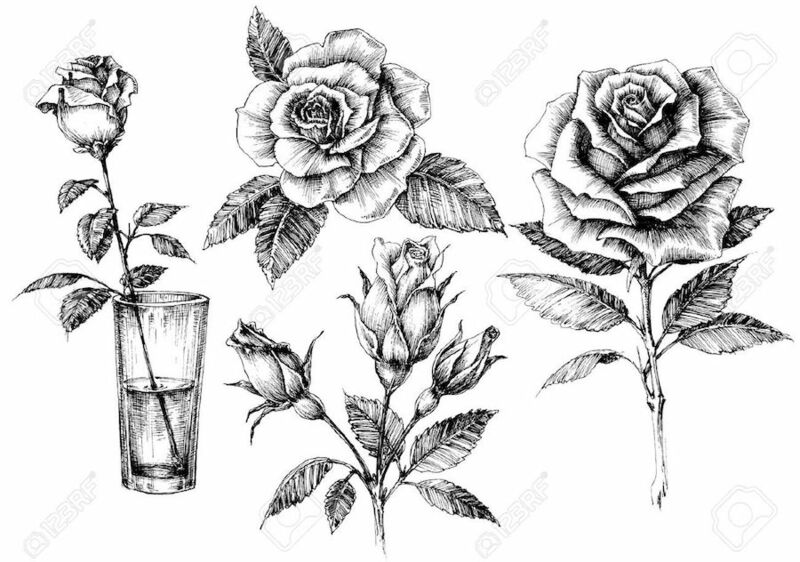 Most species of rose have five petals, but some have only four. The U.S. states of Nebraska, New York, Oklahoma, and Wisconsin all have cities called Rose. The official flower of the United States is the American Beauty Rose. 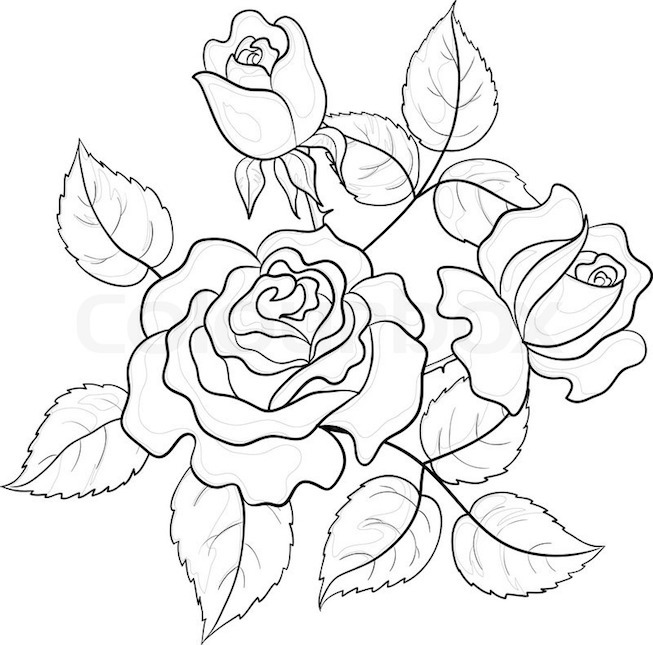 Scroll down to see illustrations of roses. 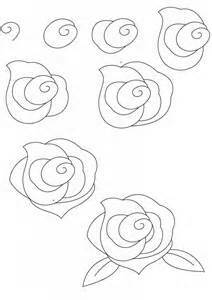 These will help you learn how to draw a rose of your very own. Visit this page for More DIY Projects. Click here for a full printable list of Amtrak Train Stations in All 50 States. Visit this page for a complete printable list of Greyhound Bus Stations in All 50 States. Hit this link for printable Car Insurance Stats from All 50 States and Washington DC.